Growing marijuana might seem simple since you can make all the mistakes possible during the process and still get marijuana that still does what is needed. However, growing the best of the best is another case all together. The following are some tips to help you grow top-shelf marijuana that is not only safe but also fun to consume. It goes without saying that for your plants to turn out perfect, they have to make it through to maturity without major problems. There are several mistakes like heat stress, nutrient deficiency, and nutrient burns that even though will not kill your plant, are likely to damage the plant and produce a poor quality bud. Therefore, for you to have healthy plants that shine in the light, you have to have thorough knowledge of the growing process basics. Previously, you would need some sort of guru to help with this but now all you need is unwavering dedication and zeal to learn. You can get all the information you need and more through the internet. You can also buy books and guides if you do not fancy scouring the internet and talking to strangers in the online forums. You cannot stat with low quality seeds and expect to get top quality plants no matter how hard you work at it. 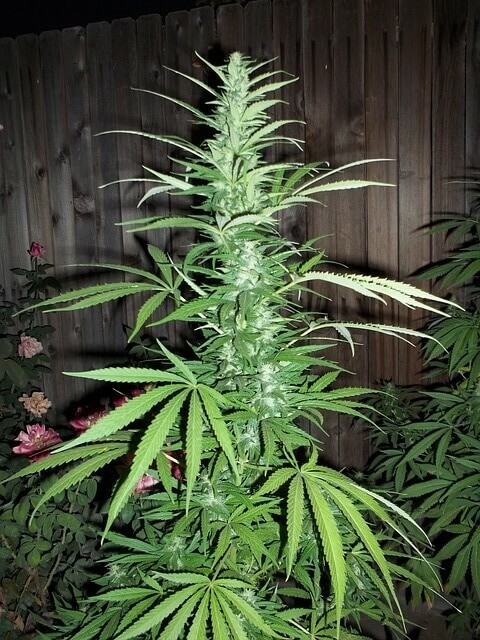 Low quality seeds or buds will just give you lower quality plants. It is simply the law of genetics. Starting with low quality seeds will also give you unpredictable results for example; you will have strange growth patterns like some plants growing too tall and others having stunted growth. Also, avoid buying clone strains from dubious sellers or dispensaries. If you do not have grower friends from whom you can get quality seeds, you should visit reputed seed banks. Seeds banks have a range of top quality seeds you can pick from and try out. These seeds will not only give you top quality plants, they will also increase your yields, tremendously. It might cost you a little more than usual but if you are determined to grow top-shelf buds, this is the best way to go. It is worth the trouble. For new growers, getting the humidity right is a problem and this causes them some problems they did not expect. During the vegetative stage, you need to keep the humidity at high levels to reduce the amount of salts in the plant and enhance the plants’ growth. Low humidity levels can cause heat stress and nutrient deficiency in the plants. When the plant starts flowering, you need to reduce the humidity levels. To help prevent growth of molds and increase the production of trichome in your plants, make sure the air is relatively drier. Controlling humidity might be a bit more expensive since you will have increased costs in power and carbon oxide but it is relatively a cheap way to increase your yields and the quality of your final product. Good air quality is one of the most important factors in the growth of quality buds. To maintain a good air quality you may need a few rotating fans in your grow area. You will also need a good exhaust system. If possible design your grow area in a way that encourages natural airflow and make sure your ventilation is done properly without compromising the integrity of the grow area. If you are using carbon dioxide, you should maintain temperatures of 80 – 90 degrees F. Otherwise, maintain temperatures of 70 – 80 degrees F during the day for optimal production. However, in the last two weeks before you harvest, you should bring the temperatures down to 70 – 80 degrees F whether you are using carbon oxide or not. Most strains of marijuana need temperatures between 68 – 75 degrees F during the night to increase the chances of bud rot. There are a number of purple strains that will not show their color unless they are exposed to lower temperatures in the night during their flowering stages.